And the number one mistake people make with flower arrangements. When I met Barrett years ago, it was through her then-food blog, Valleybrink Road. 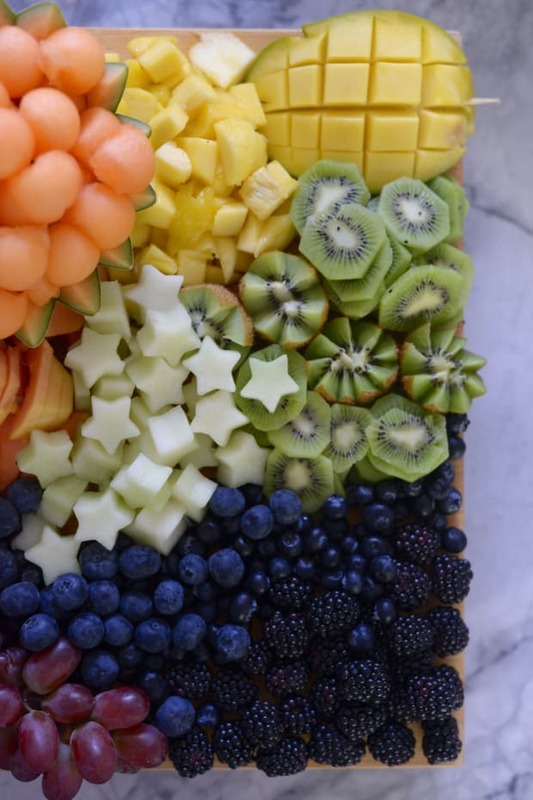 The site still includes fantastic recipes, but her company has expanded and evolved through multiple iterations including catering, gift boxes, and for the past year and a half, floral design (did I mention she worked in fashion before all this?). 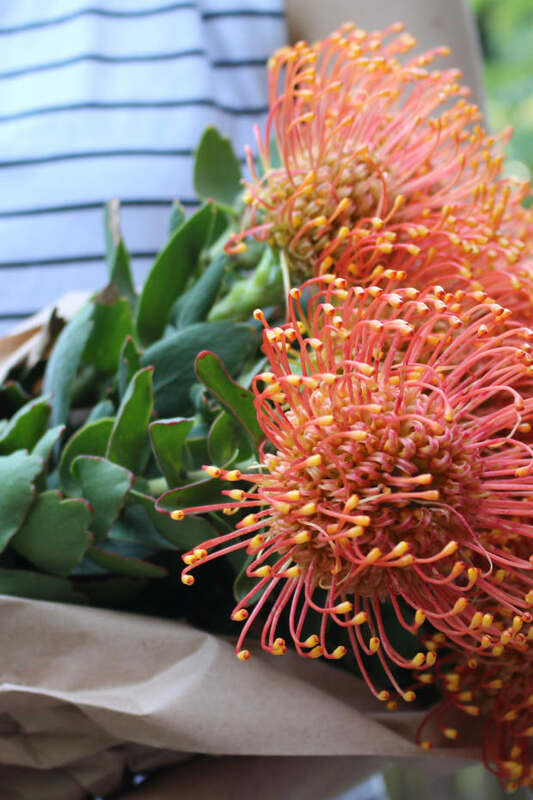 And while she never intended to go into food or florals, she&apos;s a natural at both—her arrangements are some of the most sought-after in Los Angeles. 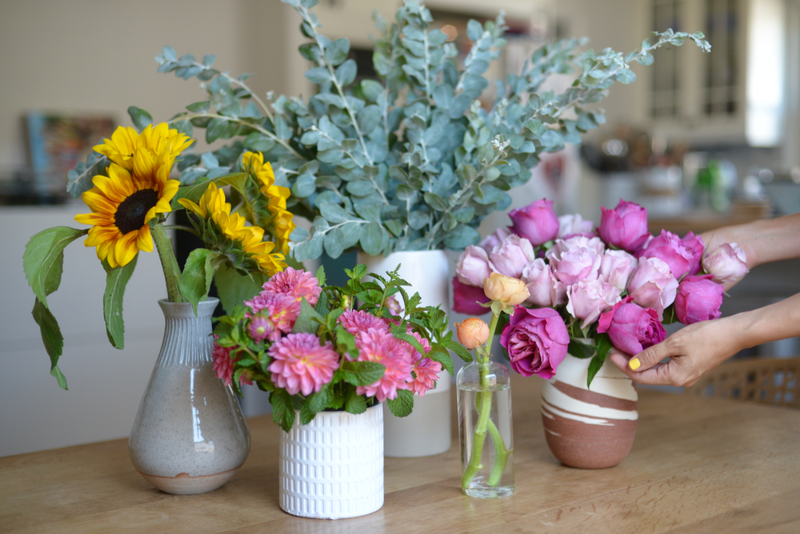 When I stopped by her light-filled Atwater Village home last week to learn some of her styling tips first-hand, her dining table was filled with dahlias, roses, eucalyptus, and sunflowers. 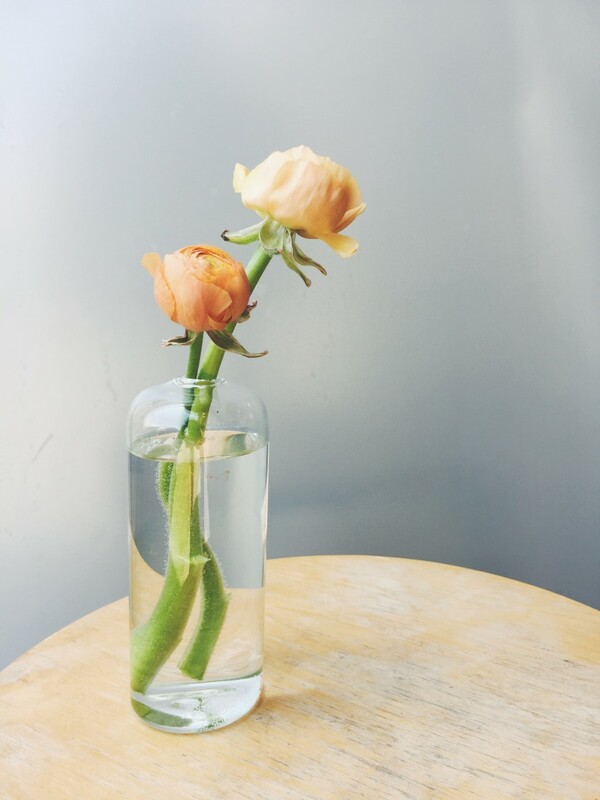 "I like pretty, girly flowers in peaches, pinks, and soft colors," she said laughing, "Like everyone I love garden roses, ranunculus, and a beautiful peony." The latter, unsurprisingly, is her most-requested flower. She explained, "They&apos;re amazing, they&apos;re the most expensive, and they&apos;re not available all the time." (I&apos;d also add: They Instagram well.) As for trends in general? "People are moving away from those kinds of structured arrangements that you think of from 1-800-Flowers—the red roses with a leaf around the vase—and getting more into things that feel organic, flow more, and have a looser composition." I love a bud vase. It&apos;s an easy way to bring some life to a room and you don’t have to be a florist to create something truly beautiful. 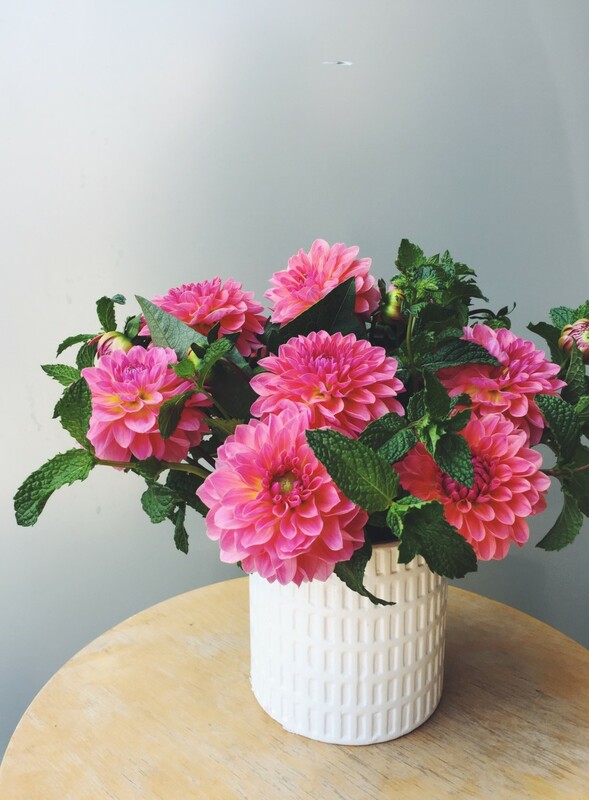 These simple, informal arrangements showcase the bloom and it’s silhouette. 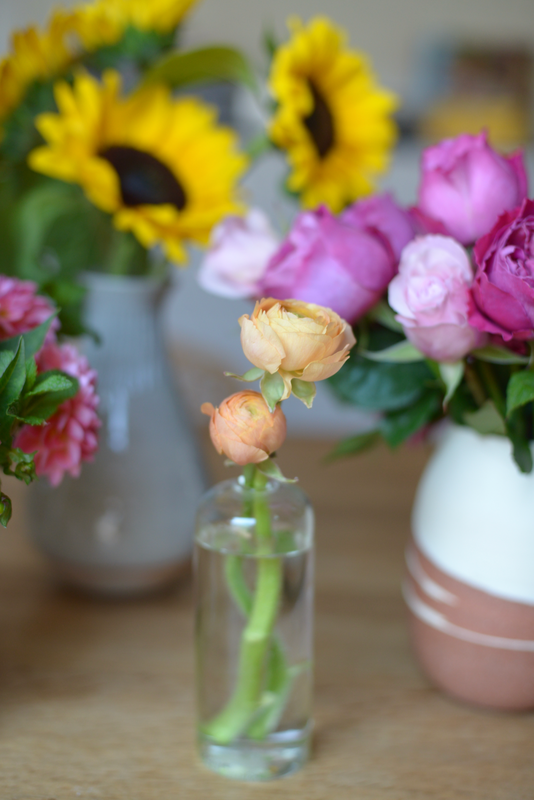 Flower options are endless but I love using ranunculus, tulips, or daffodils in bud vases. These vases highlight flowers best when the blooms have some volume to them. Here, I used a full bunch of mint and then added in some dahlias with the leaves on. You need to use more voluminous flowers for this vase, as the opening is large. Hydrangeas also work nicely in vases like this. I like to focus on one type of flower with vases like this. 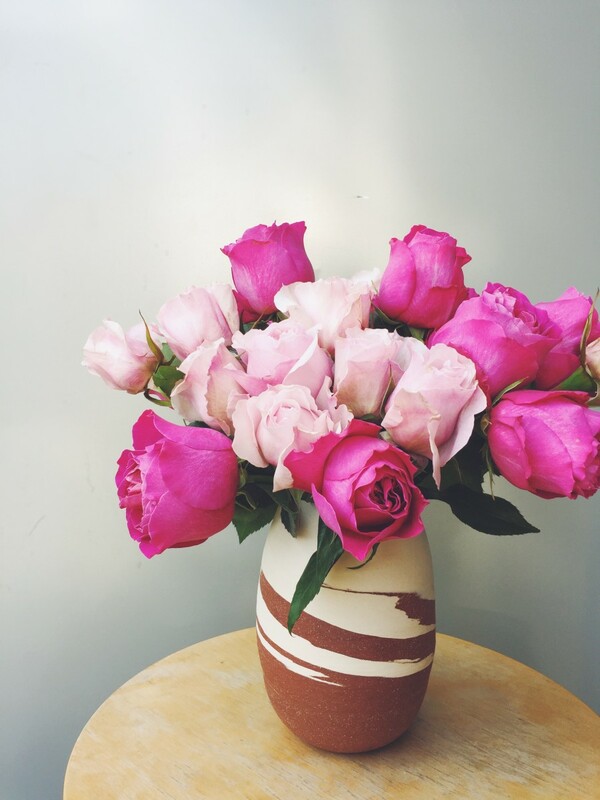 One to two bunches of peonies or roses are a perfect fit. As they blossom, they really round out in shape and the arrangement will look beautiful. 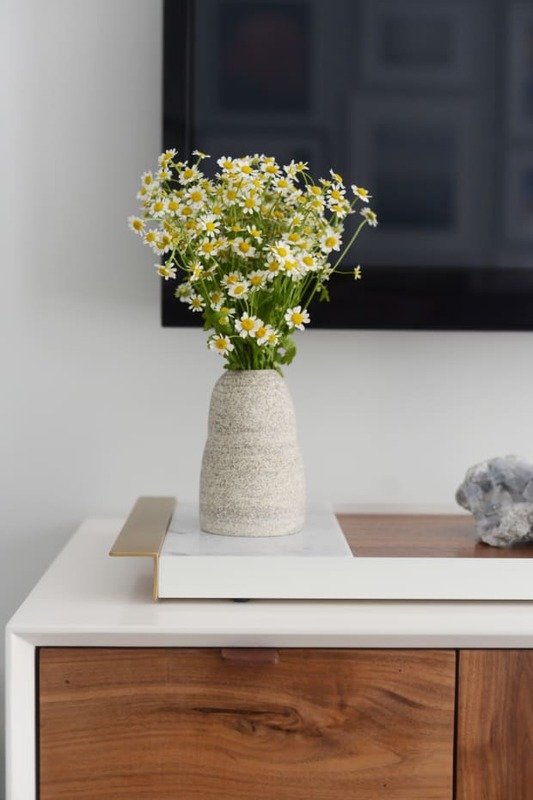 For me, these vases are perfect for some lush greenery. 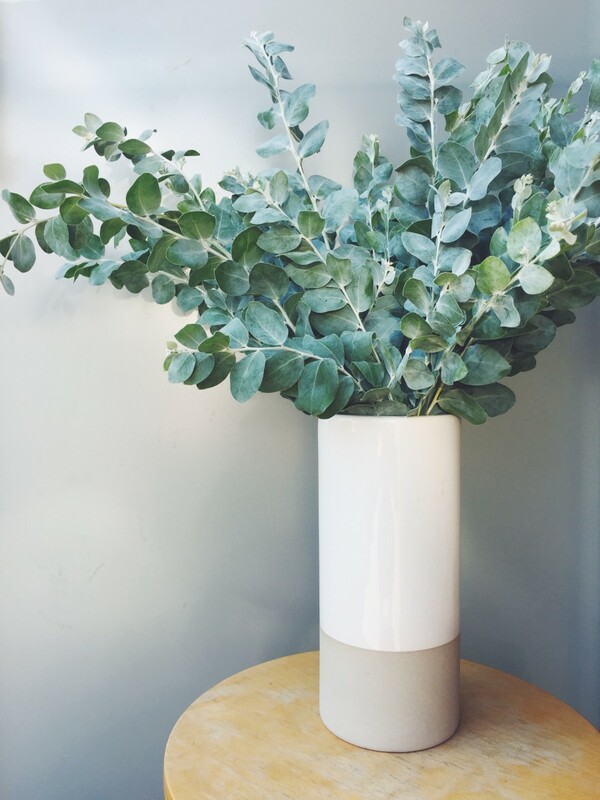 Acacia or eucalyptus is great for these types of vases and it usually just takes one bunch of greens to make an arrangement. Very budget-friendly, but with big impact. Statement flowers work best in this type of vase with such a small opening at the top. 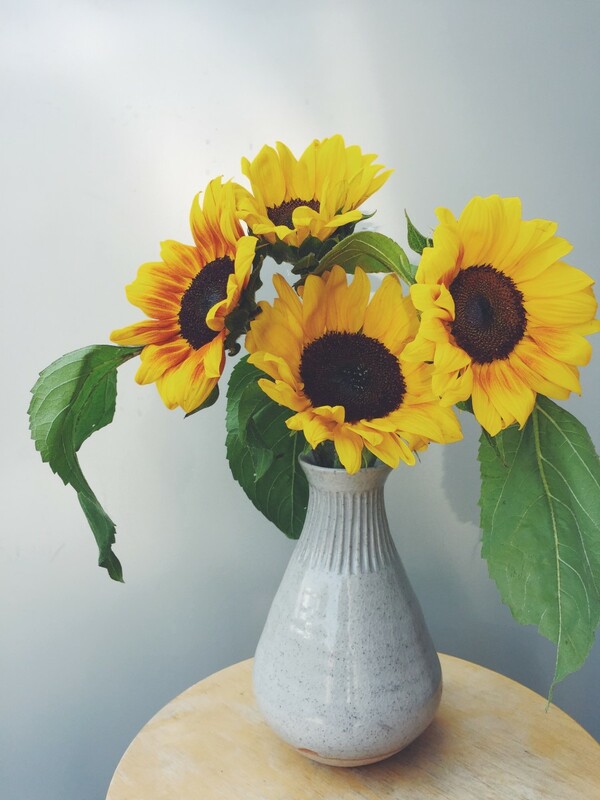 You want to use flowers that are a bit larger like sunflowers, peonies, dahlias, and lilies. You really only need three to five flowers to fill the vase.